This contemporary coffee table has a cappuccino finish and angled legs, bringing a modern sophisticated look to your living room. Featuring a lift top, this coffee table offers storage space for blankets, board games, magazines, etc. 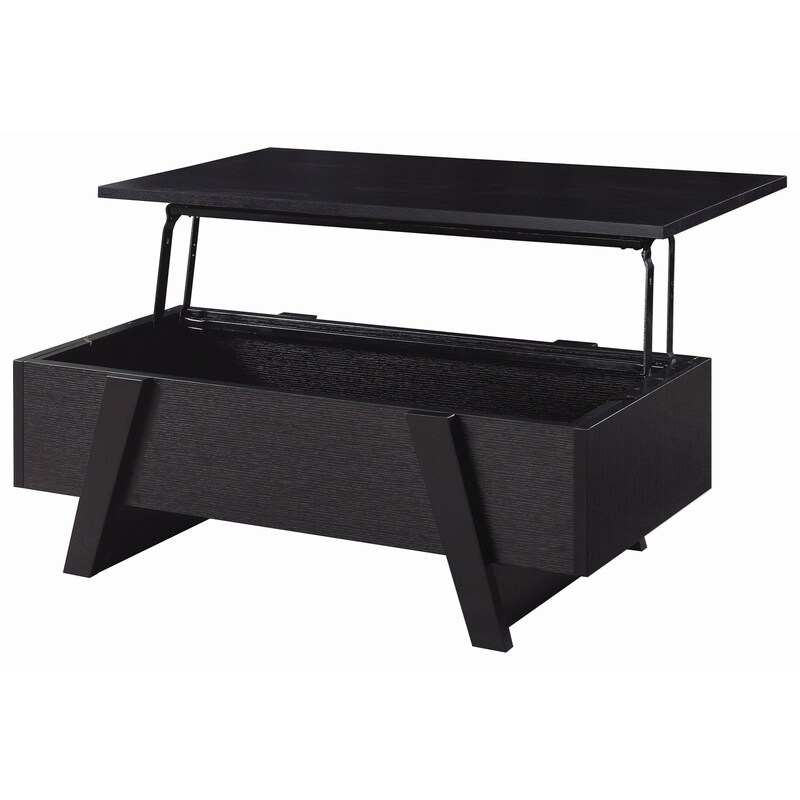 The 72113 Lift Top Rectangular Coffee Table by Coaster from Nashco Furniture - Nashville. We proudly serve the Nashville, Franklin, Brentwood, Clarksville, Green Hills, Davidson County, Williamson County, Tennessee area. Product availability may vary. Contact us for the most current availability on this product. Browse other items in the 72113 collection from Nashco Furniture - Nashville in the Nashville, Franklin, Brentwood, Clarksville, Green Hills, Davidson County, Williamson County, Tennessee area.